It hasn't really snowed here like it has a few hours north of us, but it's TOO cold outside. I believe the actual temperature today is 1, with a wind chill of -20 degrees. Record-breaking low temps are truly a bummer. So let's make a mess inside! 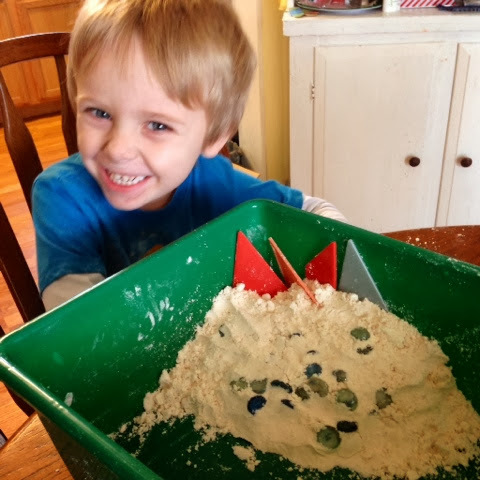 There are plenty of activities to do at home with a snow theme, and I had fun looking through the lists to pick out what to try first. 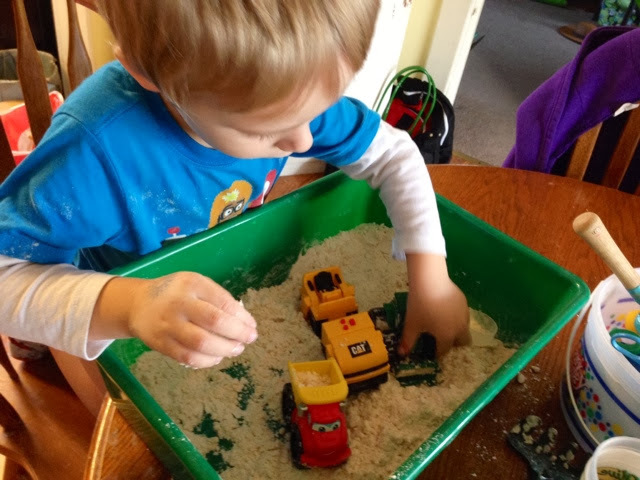 I decided on sensory play snow. It's soft, smelly-good, and maliable. That's it! 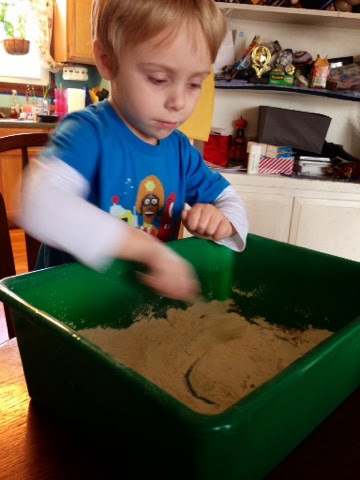 Scoop, measure and mix! Give it all a good stir, and then get to squishing! The choices for play are endless. 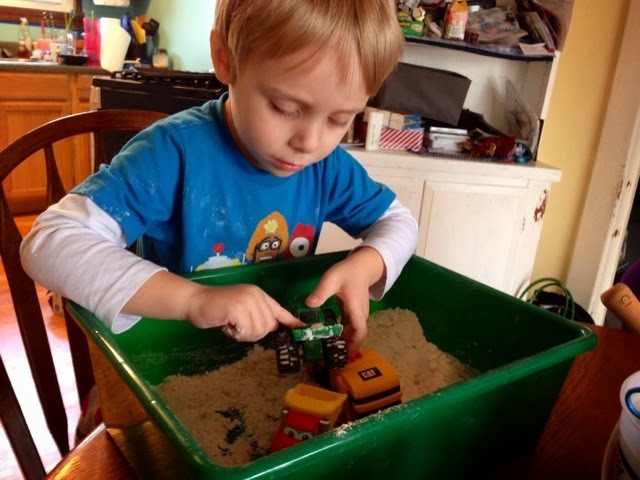 I got out some of his playdough tools, some of his sandbox toys, and a few of his trucks. 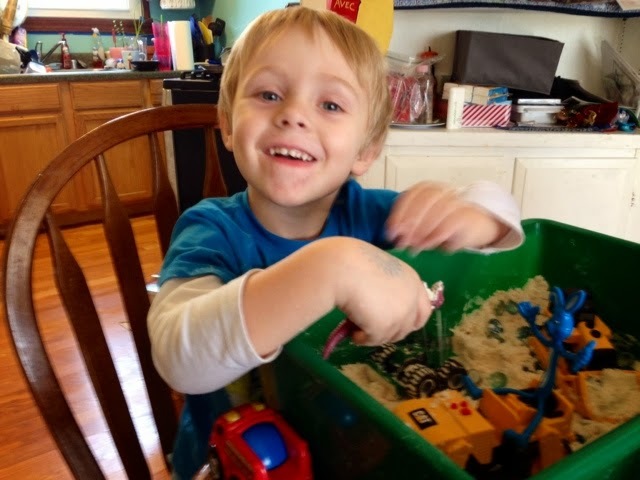 You can tell by the pictures what Daven played with most! 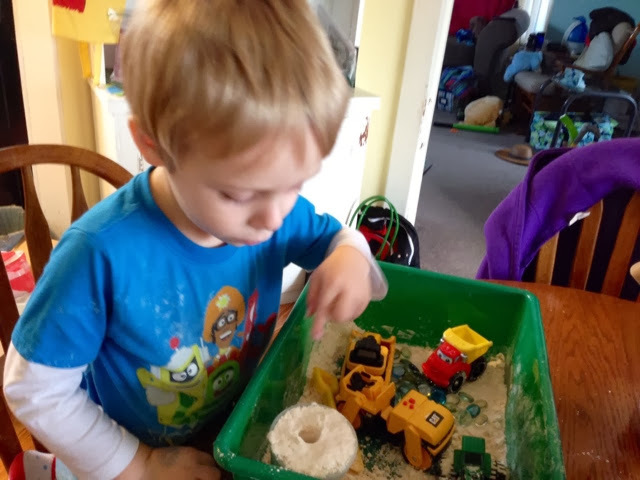 He used his bulldozer to scoop the snow into the cup, and then buried a treasure gem within. 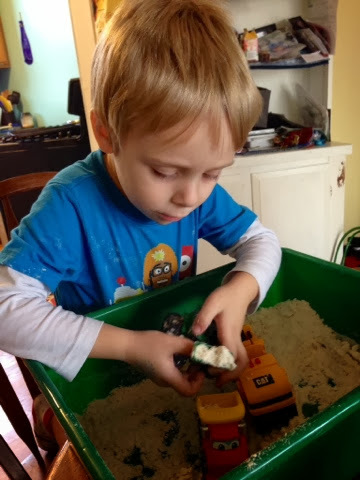 Here, he's feeding the dinosaur some snow. And check out who's driving the steam roller! 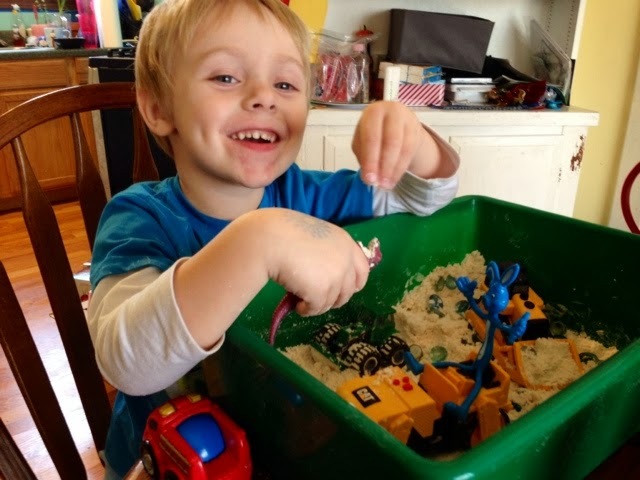 Here is Daven showing off his "treasure mountain". 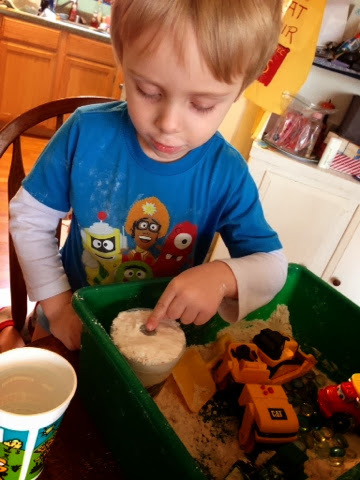 We had fun playing with this pretend snow. 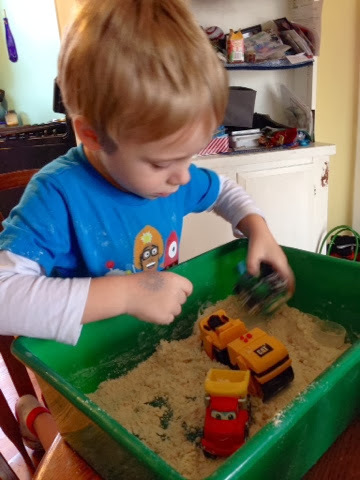 It's inexpensive, easy to make, and a fun way to kill some time when you're stuck inside.